Happy 100th Birthday, Jackie Robinson! Cooking soup as a family is a pleasant way to spend a winter afternoon. For kids, there's all kinds of learning in the kitchen—there's math in measuring, reading the recipe, science in mixing ingredients and all the teamwork involved in doing a project together. Plus, everyone gets to eat their efforts when you finish. 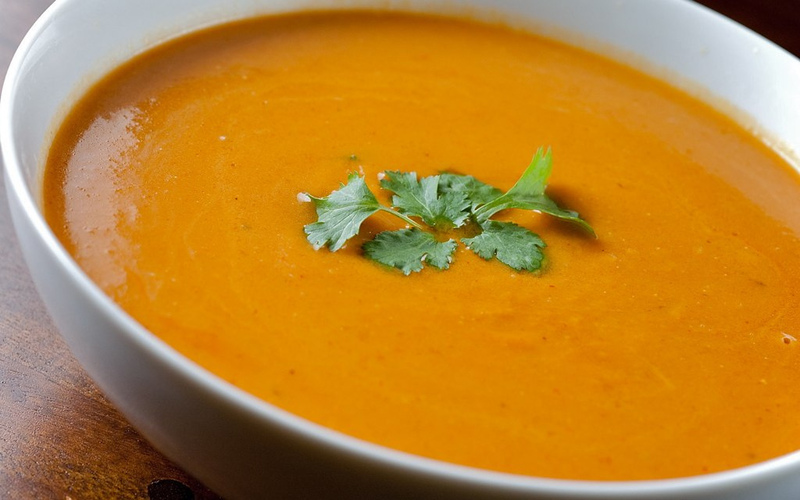 Perfect for chilly weather, butternut squash soup is my go-to for a cup of seasonal goodness. It's a feast for all the senses—the brilliant orange color, the velvety smooth texture, the spicy sage smell. My favorite recipe is a simple family recipe that's fun to make with kids because it involves a potato masher! You can use nearly any recipe with your little helpers, just be sure to allow plenty of time for the squash to cool before you mash it. Because of its gorgeous orange color, I would pair this soup with an Anansi tale from Jamaica like Tiger Soup. In this tale, Anansi the spider has heard of a wondrous soup made from the tail of a tiger, so he tricks Tiger into leaving his tail by the riverbank while he goes for a swim. Hungry for more stories about soup? Another funny take on tigers and soup is Tiger in My Soup. Take one uninterested big sister, add a little brother, his favorite book and a bowl of alphabet soup and ... voilá, there just might be a tiger in your soup and a battle in your kitchen. A soup for all seasons and a story for the ages, Maurice Sendak's classic Chicken Soup With Rice will have everyone singing along, "Cookin' once, cookin' twice, cookin' chicken soup with rice!" Try The Real Story of Stone Soup, a slyly funny version of the classic folktale, in which two boys trick their boss into helping them make a delicious meal. Look for the recipe for Egg Drop Stone Soup at the end of the tale. Or check out Pinch and Dash Make Soup. When two friends, Pinch and Dash, try to make soup together, a disagreement over what goes in the pot sends the whole endeavor down the drain. For more vegetable soup recipes, grownups should take a look at Love Soup. In 160 recipes, award-winning chef Anna Thomas gives readers new and exciting flavor combinations that are vegan-friendly and healthy. Do you cook with your kids? What's your favorite thing to cook at this time of year?